Surfing these last years on the boom of the tourism in its country, Icelandair serves 28 cities in Europe and 16 in America today, via its central hub of Reykjavík. Last announced openings: Philadelphia and Tampa since Paris. Icelandair, the Icelandic company, will celebrate this year its 80th birthday and offers itself for the occasion two new connections in the United States from Paris, via its hub of Reykjavík. To begin with Philadelphia, line opened since Tuesday, May 30th, 2017. This new road, seasonal worker at first, will be 4 times operated a week until next September 20th, for a loss-leader price announced in 579€. On Philadelphia, city cradle of the American constitution situated between New York and Washington, Icelandair will enter in competition with American Airlines, present in everyday life on a direct line which celebrated last January its 25 years. ” This longevity testifies of the interest which carries the French market in the city of Philadelphia: France represents the 5th emitter market among the international arrivals “, specifies a communiqué of Philadelphia Convention and Visitors Bureau. ” The city seduces by its rich cultural and artistic offer, as well as by its important historical heritage “, he is specified. At the start of the school year on September 7th, the Icelandic company, surfing on the tourist explosion of its country, will also open a line towards Tampa, in Florida, operated since Roissy all year long at the rate of 2 flights a week, on Wednesday and Sunday. 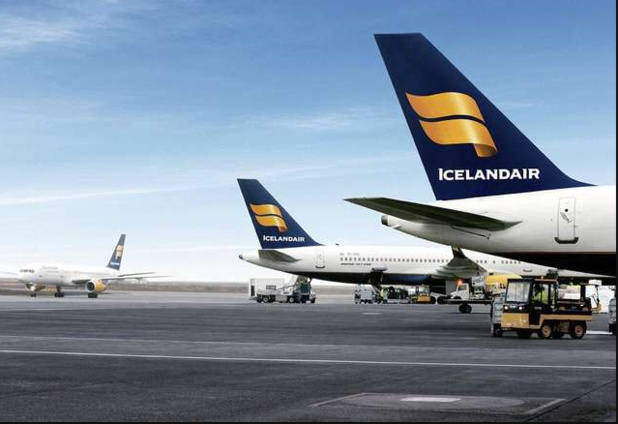 It should be noted that, its two new connections will benefit from the famous ” stop – over ” of Icelandair, allowing all its passengers to extend their correspondence in Iceland till 7 nights, without additional charges. On Paris, where it has to deal with the competition of its low-cost compatriot Wow Air, Icelandair is present from now on in everyday life since Roissy as well as, for one year, 6 times a week since Orly. The whole on a fleet of Boeing 737 configured in three classes: eco, eco comfort and saga class, both last ones giving access in new Lounge Saga opened last week to Reykjavík. ” With the additions of flights in season, we can propose until 23 weekly flights between Paris and Iceland “, Antoine Merlino, commercial for Icelandair in Paris. With these two new destinations, Icelandair pursues its expansion and serves from now 28 destinations in Europe, and 18 on the other side of the Atlantic Ocean. In the latter are added agreements of code-share on sharper destinations, in particular thanks to partnerships with Alaska Airlines or JetBlue Airways towards Texas. While staying outside any air alliances : “What gives us a considerable independence, on the new lines which we open as, for example, on our own loyalty program”, explains Antoine Merlino.